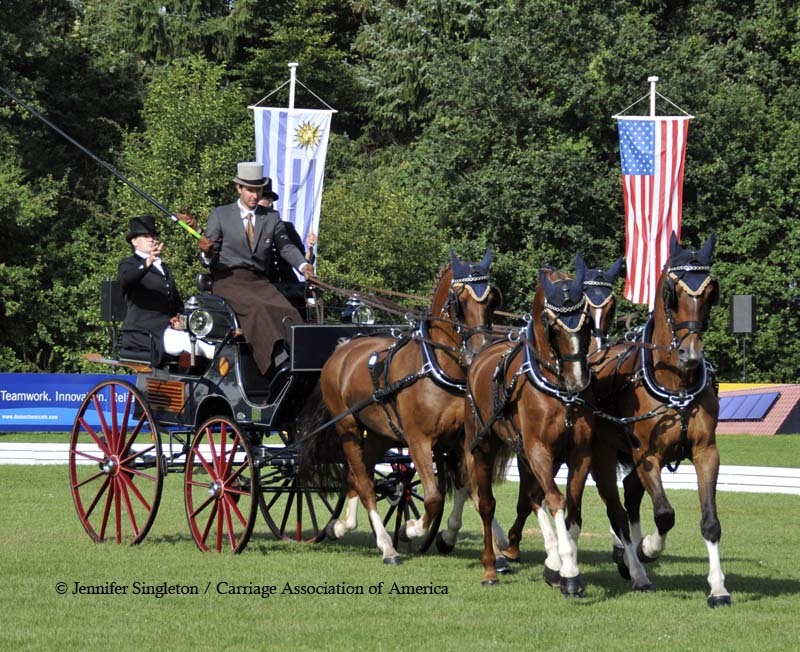 … where we have a bit of dressage to catch up on, from the World Four-in-Hand Championship about two weeks ago. 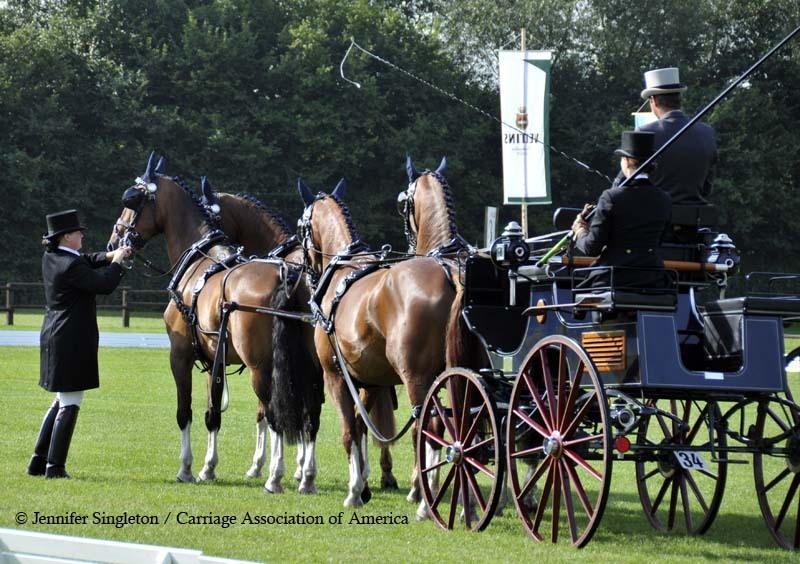 As you may remember, I spent most of the two dressage days watching the warmup arena instead of the dressage tests themselves, and I was (and remain) fascinated by the loooong, telescoping whips that the drivers use as they warm up. 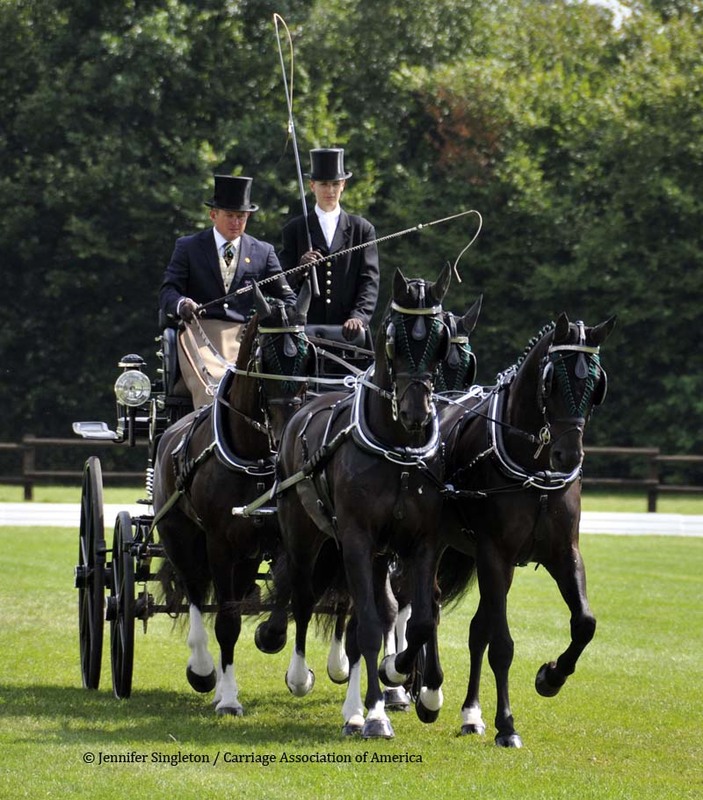 As you can see in these photos, the huge whips are usually carried by a groom and handed forward to the driver as needed and then handed back. 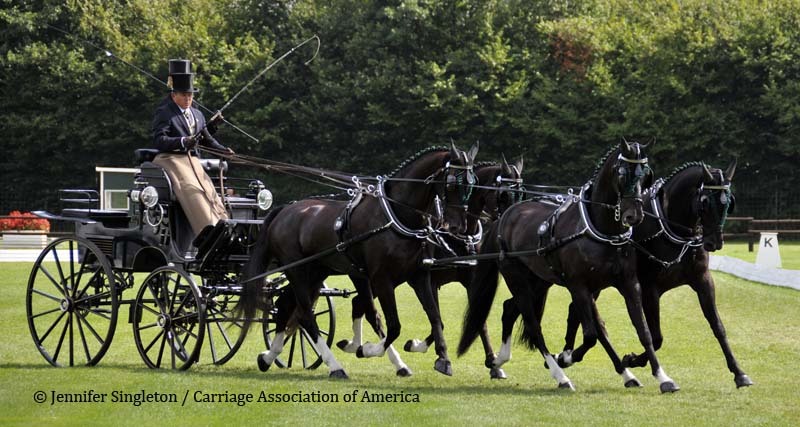 As they’re trotting smartly into the arena, the driver or groom either drops the whip or hands it off to a gate steward. 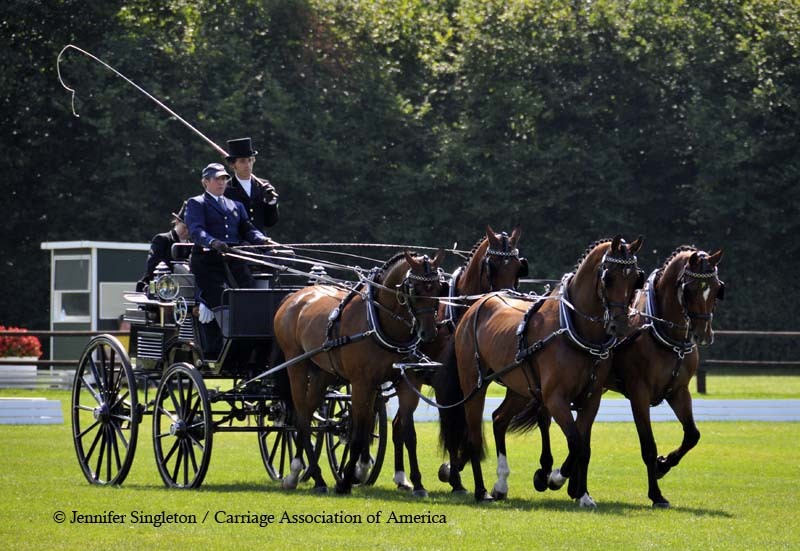 It’s then folded back up and collected by a team member. 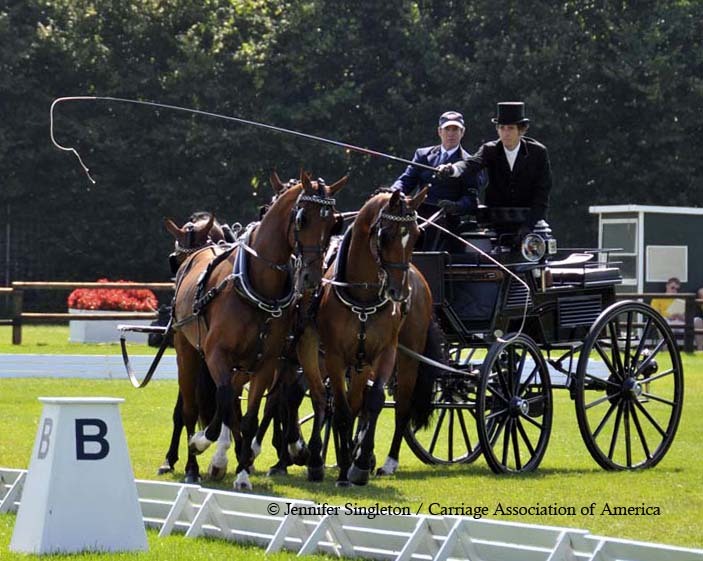 Because so many of the modern whips used in dressage either are too short to reach the leaders or have the lash wrapped tightly around the shaft, I suppose this is a “new” way to be able to communicate (in the warmup arena, at least) with all four horses individually. 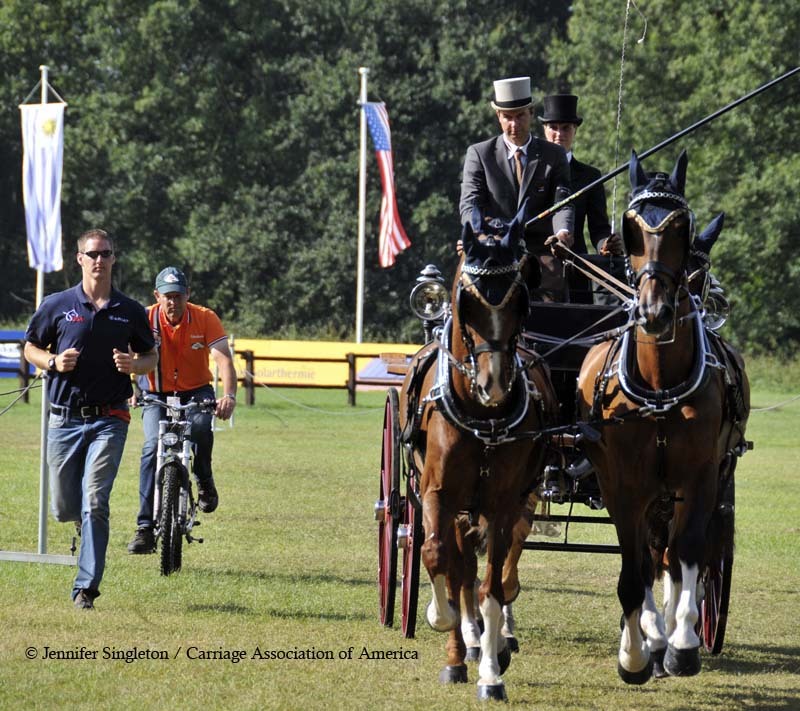 First, we have Boyd Exell (the individual gold medalist), who drove his dressage test on Thursday. 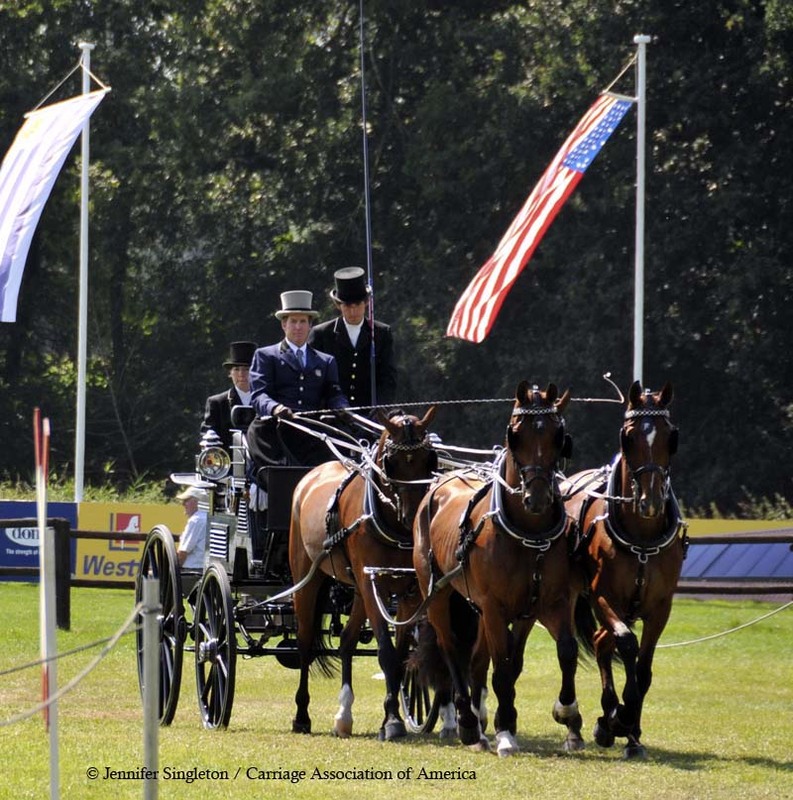 Next, from Friday: three photos of Koos de Ronde (a member of the Dutch gold-medal team) and then three photos of U.S. driver Jimmy Fairclough (a member of the bronze-medal team).